No one likes hiding his or her smile. Covering your teeth with your hand or lips can make you feel awkward and self-conscious. Cosmetic dentistry to the rescue! With cosmetic dentistry, we can magically transform stained, chipped, broken, or misaligned teeth into a smile you won’t hesitate to share. Modern cosmetic procedures like teeth whitening and porcelain veneers are faster and higher quality than ever before. With restorations like all-ceramic crowns, nobody will know you’ve had dental enhancements. At Family Dental Associates, we excel in cosmetic dentistry. 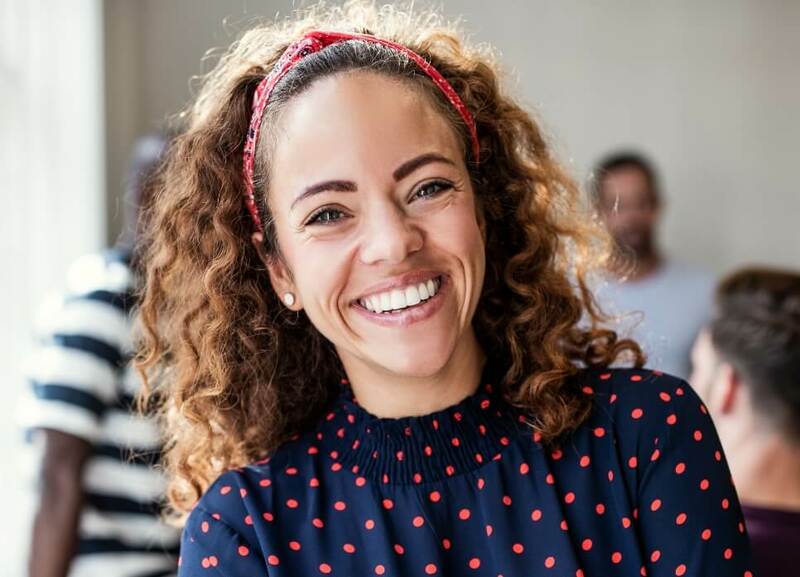 One of the most rewarding aspects of our careers is watching what happens to a person’s self-confidence after a smile makeover. We take special care to ensure each patient’s cosmetic dental plan is customized to fit his or her unique needs. Our motto, “personalized and comfortable”, is especially crucial when it comes to cosmetic dentistry. If you’re ready to get the most beautiful smile of your life, simply contact our office today. We can also beautify smiles from Columbia and Williamson County. Porcelain veneers are one of the most comprehensive cosmetic treatments available today. They can fix and mask a multitude of imperfections such as chips, cracks, stains, and gaps. 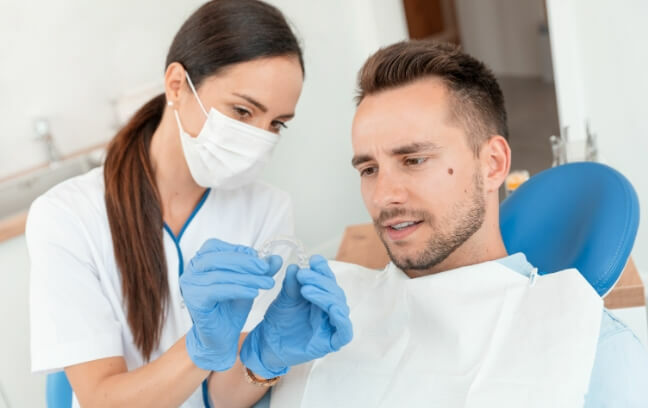 They can even be used to make slightly crooked teeth appear straighter, which is why they are often referred to as “instant orthodontics.” What are they? How do they work? What is the procedure like to get them? Simply click the link below to learn more. Of all the aspects of your smile, the color is probably the most important. A pristine white smile just sends the right message to the world, and it can be a solid source of true confidence. Of course, the opposite can also be true if your smile is looking dull, yellow, and stained. 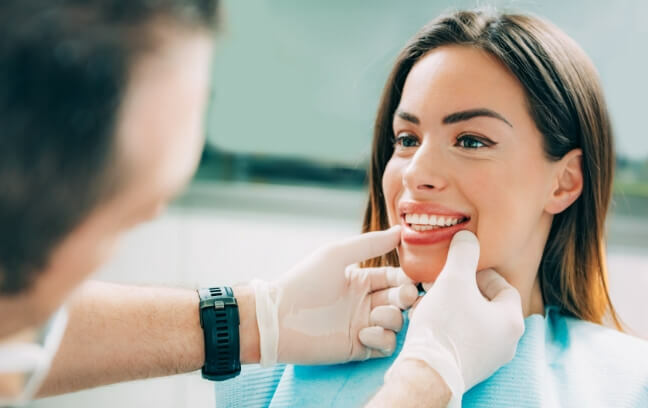 You have nothing to worry about, however, because we can provide you with professional teeth whitening that will have your smile shining bright once again before you know it. A perfect smile is also a balanced one, and that means it has just the right proportion of lips, teeth, and gums. Sometimes, excess gum tissue can get in the way and make otherwise beautiful teeth appear short and stubby. To correct this, we can perform gum recontouring/crown lengthening. For this procedure, our doctors will gently and precisely remove any excess gum tissue to expose more of your natural teeth. Before you know it, you’ll just love the person you see in the mirror every day. Our team offers ClearCorrect alignment tray braces to help patients straighten their smiles without the hassle of metal bracket and wire braces. Instead, you’ll achieve a straighter, healthier smile with clear, plastic aligners, and no one will ever know you’re receiving orthodontic treatment. All anyone will ever see throughout the ClearCorrect process is your beautiful smile. 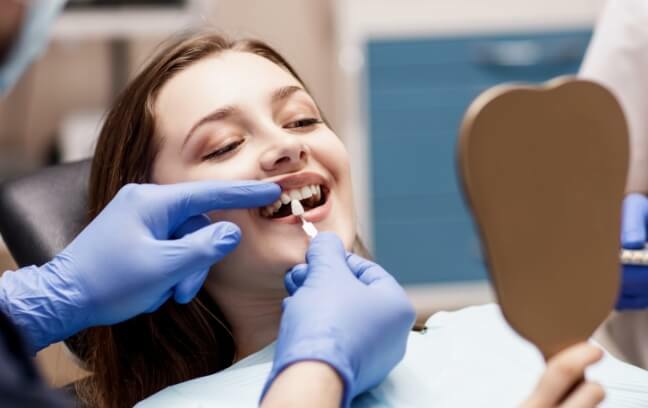 In just about twelve months, you’ll have flawlessly aligned teeth, and there’s never any need for brackets and wires, changes to your diet, or frequent orthodontist appointments. Simply wear each set of clear aligners for about two weeks at a time and exchange them for the next set in the series. It’s that simple to get the healthy smile you deserve.